Let them choose something they really love with a Rare Records gift voucher! Struggling to decide on what to get for that hard to buy for person? Then let them choose themselves! We have a massive range of the latest and hard to find vinyl records, CDs, posters & music memorabilia, guaranteeing we'll have something for every music lover. 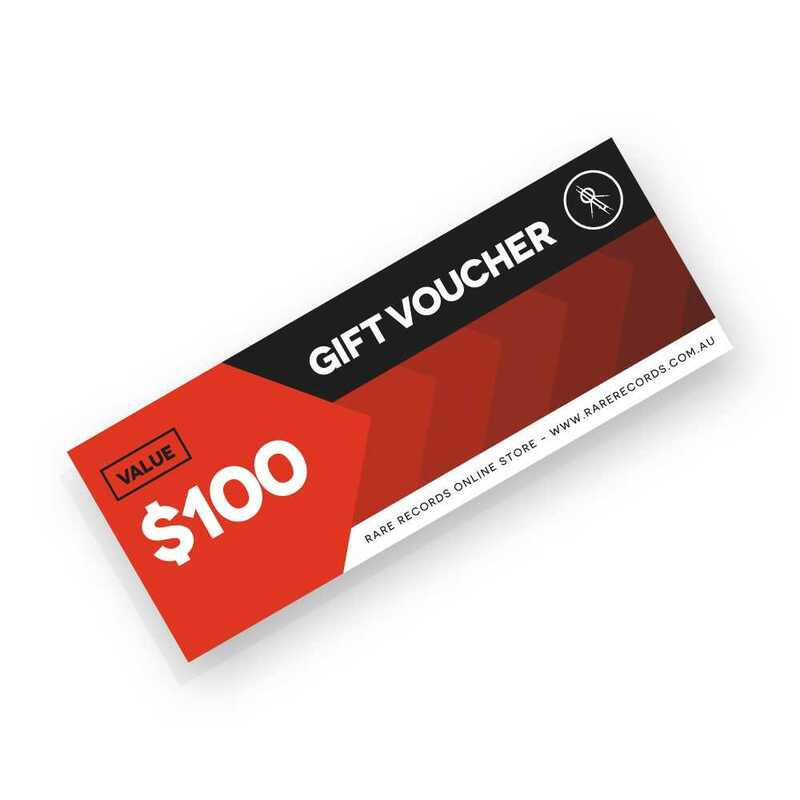 Gift vouchers are only redeemable on the Rare Records website (www.rarerecords.com.au). Should Rare Records suspect any fraud relating to a gift voucher, Rare Records may refuse to redeem the voucher until we are satisfied that no fraud has occurred. Rare Records is not liable for any lost/stolen gift vouchers. Please contact Rare Records immediately if your voucher has been lost/stolen. Lost/stolen vouchers can only be replaced if satisfactory proof of purchase is provided and the voucher has not been redeemed.